Startup oBike under fire as cycles appear taped to trees and other weird spots in Melbourne. With inner-city congestion rates and environmental concerns pushing some motorists towards bicycles as a nifty alternative, you would think an abundance of metropolitan cyclists would be a welcome sight for most locals. Not so for residents of Melbourne, Australia, who have taken to social media to post photos of abandoned bikes nestled among tree branches, taped to lamp-posts, floating down rivers and even propped on the roof of public toilets. The discarded bike epidemic all stems from an innovative bike-sharing scheme that the city's mayor is now threatening to axe completely. "We work hard to keep the city free of clutter," said Melbourne's Lord Mayor, Robert Doyle, told The Age. "They are clutter and that must be fixed." The scheme under fire is that of Singapore-based start-up oBike, which also operates in select cities in the UK, Thailand, the Netherlands, and Switzerland. Unlike council-led cycle schemes – such as London's Santander Cycles – oBike does not provide docks, instead relying on user goodwill to leave the pedal bikes in appropriate locations - ie, not in a tree. Easily recognisable thanks to their bright yellow and black frames, oBikes are unlocked using a mobile phone app and, after putting down a £49 deposit, are charged at 50p for every half hour in London (AU$1.99 in Melbourne). Unfortunately, both London and now Melbourne have begun to see the downside of asking people to nicely leave the bikes somewhere that isn't unsafe or just downright silly. Following the service's launch in London in July, a number of city councils expressed concern over both the haphazard nature of its introduction, and the resulting cycle clutter. Hammersmith and Fulham Council noted in a blog post that roughly 400 oBikes had "appeared... without any consultation at all," and that "most [of the bicycles] had been left at right angles to the kerb, partially obstructing the footpath, and creating a potential hazard for pedestrians – particularly the disabled". 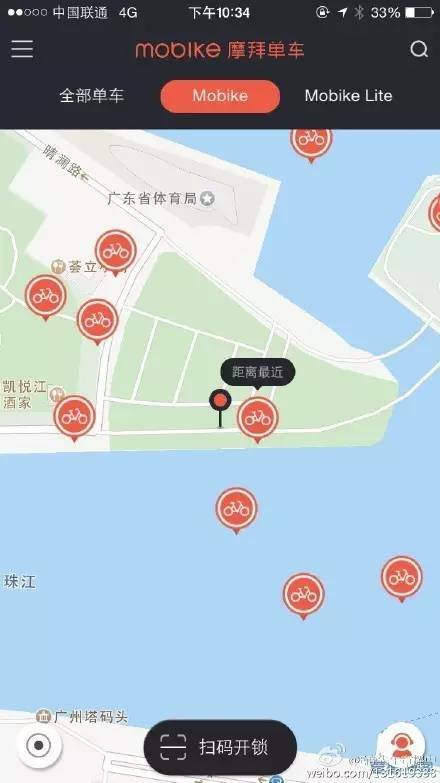 With similar schemes to oBike also suffering the same fate in China and Japan, perhaps dockless bikes aren't such a good idea after all. For what it's worth, oBike is keen to solve the issue by working closely with councils in the future. "We're working with councils... to ensure the roll-out is as smooth as possible," an oBike spokesperson told Wired after its UK launch. "Where councils ask us to move or reposition bikes, we will comply with those requests."